Warning: Packaging caused household infestation! 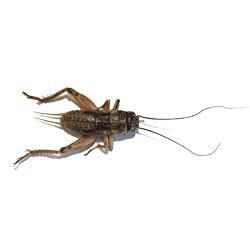 1000 Live Crickets - Large 1" Warning! These crickets are not in any container other than the outside box! I now have a cricket infestation of my entire house because, assuming as any normal person would that they would be contained in some kind of critter container. I cut open the outside box and HUNDREDS of crickets jumped out, on me, into my bedroom & the entire house. They are in my underwear drawer, closet, and crawling on my toothbrush. My roommate is always screaming. They drown in our coffee, eat my bread, and are on every wall, and scare the crap out of me by jumping on me while watching scary movies. Why is there no warning or at least logical packaging? Animal Planet PET20109 Raptor Dog Costume, Small I bought this costume for my Pomeranian, because I thought it'd be awesome to have the coolest-looking dog on the block (take that, Mr. Wilson down the street!). At such a low price, I expected the typical dog costume: average materials, subpar stitching, all-around poor craftsmanship. 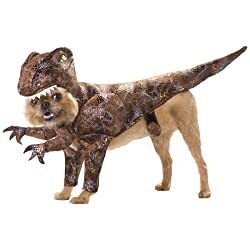 However, once the Animal Planet PET20109 Raptor Dog Costume arrived, I knew that this was the Rolls-Royce of pet costumes. The realistic patterns, right down to the raptor's jagged, death-bringing teeth, are perfect and completely believable. My dog seemed to like it and when I tried to remove it, he actually refused to let this happen by eating one of my index fingers. Urine Gone As my grandmother used to tell me, "Accidents Happen." Sometimes the accidents are in your pants. Luckily, this great product helps you stay "pee-pared" for those times when nature calls. 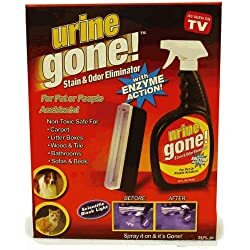 Whether an accident happens at home, outdoors, in the passenger seat of your buddy Ed's Monte Carlo, or on a float at the Rotary Club's 4th of July parade, "Urine Gone" is there to address the mess!